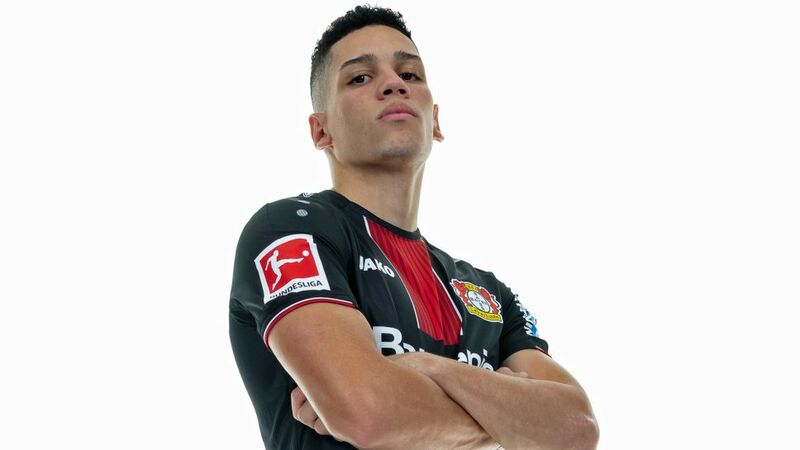 Bayer Leverkusen beat off competition from a host of top European clubs to secure the services of highly rated Brazilian teenager Paulinho from Vasco da Gama. An attacking midfielder by trade, Paulinho is capable of playing on either wing, at No.10 or even as a centre-forward. The Brazil Under-20 international boasts an explosive combination of speed, skill and strength, and he is just as capable of providing a defence-splitting pass as he is finding the back of the net. "The lad has quickly shown us what he can do with his technical ability, dynamism, assertiveness and goal threat," explained Leverkusen manager Jonas Boldt, the man who convinced Paulinho that Bayer was the club for him in summer 2018. "We're convinced we can integrate him quickly and we're looking forward to seeing another great player in a Leverkusen shirt." Paulo Henrique Sampaio Filho – to call him by his full name – will be looking to follow in the footsteps of some of Brazil's most illustrious exports when he arrives at Leverkusen this summer. The 18-year-old, who joins his compatriot Wendell at Bayer, has clearly done his homework when it comes to Leverkusen's rich Brazilian heritage. "Emerson, Lucio, Jorginho, Ze Roberto and Juan were fantastic players whose global career started at Bayer," he declared. "The club has a great reputation back home, and everybody knows Leverkusen as a place where a lot of Brazilians have been happy. I think it's important to fully consider a move abroad, which is why I've chosen a club that works seriously and still has great ambitions. I want to get to know the whole of Europe with Bayer." Since making his top-flight debut for Vasco da Gama in July 2017 – two days before his 17th birthday – Paulinho has made 24 senior appearances, notching up five goals and three assists. In February, he even became the first player born in the 2000s to score at the Copa Libertadores, in a 6-0 aggregate victory over Universidad de Concepcion. Unfortunately, his prodigious run of form was abruptly halted in early April, as he suffered a broken arm in a group-stage match against Cruzeiro. After being unveiled as a Leverkusen player, Paulinho said he would look to Juventus and Portugal star Cristiano Ronaldo for inspiration in his bid to take the Bundesliga by storm. "I’m reluctant to talk about role models but rather a player you can emulate - that you can watch and whose development you want to take from," Paulinho said. "Cristiano Ronaldo is such a player for me – he always works really hard on his game. That suits my character." Paulinho, who wears the No.7 jersey at Bayer - the same number that reigning Ballon d’Or winner Ronaldo wore throughout his brilliant career thus far with clubs like Manchester United and Real Madrid - is also known as PH7. Not that there is anything neutral about his talent.